Arutz Sheva: “The Middle East after the Defeat of Islamic State” read a headline above an article published last week dealing with the supposed demise of the barbaric Jihadist organization. “Islamic State isn’t revived” the author claimed before explaining that the “enduring collapse of the Islamic State is a step forward,” but will not cure the Middle East’s troubles. Apparently the article influenced US President Donald Trump, who last week suddenly announced he would pull out US Special Forces from Syria “very soon”. “We’re knocking the hell out of ISIS. We’ll be coming out of Syria, like, very soon,” Trump announced in Ohio. Opinion: ISIS may have been diminished but like al Qaeda, the ideology that creates terror groups has been in existence for 3500 years. It began with disobedience. Both Ishmael and Esau took wives and concubines from tribes that were hostile to the family of Abraham. The title deed to the same land, Israel, and the same city, Jerusalem, is still being fought over today. To not see the connection of the origin of the hatred is to perpetuate and condone the behavior of the descendants of the two men Ishmael and Esau. Later in the 6th century BC, Ezra 9:1-2 records that the practice of intermarriage between the Jews returning from Babylon and surrounding Gentile tribes continued. At the time of Jesus there were so many Edomites in Judea that the Romans called the area Idumea, and it is no small coincidence that Judea (West Bank) is the headquarters of the Palestinians of today. According to figures from the Metropolitan Police, first obtained by The Sunday Times and then by the BBC, a spike in knife crime in February led to a total of 15 people murdered in London. That’s compared to 14 in New York in February. 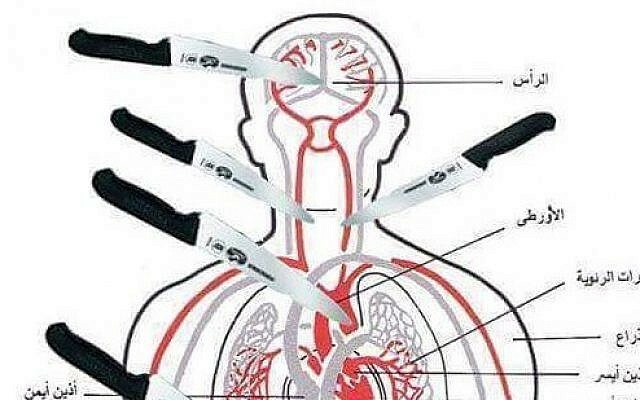 What you won’t hear from the Sunday Times or the BBC is that London’s knife crimes sound suspiciously like the knife intifada that began in the West Bank in 2015 when charts were made by Palestinian leaders for stabbing Jewish citizens with the deadliest results. It is not surprising then that Amalek, the first Biblically recorded terrorist, liked to draw Israelite blood using a knife as he cursed the God of the universe. ISIS, al Qaeda, Hamas or Hezbollah, the names change but the blood feud will go on until the end Isaiah 63:1-3. Firstly, although western media and western governments had claimed (for about the tenth time) that ISIS has been defeated in Syria, it has proven once again to be false. Thus showing the world that western governments and media are either inept at explaining truth or are completely corrupt at every turn. I think it is a little from column A and a little from column B on that one. Secondly, terrorist groups such as ISIS and Al qaeda wouldn’t retire if they could. There is still far too much financial support from western dollars, and training from western governments and military. In order for me (and I am sure I am not alone in feeling this way) to believe global terrorism will soon end, we must see proof that our overly corrupt governments and military has put a complete end to the strong and secretive support of these evil organizations. But in all honesty, you are absolutely correct in mentioning and explaining what so many people (uneducated Christians and preachers included) do not understand or refuse to believe. That this is a major part of world history that is about to come to an end. A very big end! Thank you for teaching truth and not covering it up or sugar-coating it.